Have you ever watched TV? If so, then you know that it all follows a certain script: people talk, things happen, plots, catchphrases, networks, syndication, guest stars, gags. It's all part of Show Business!!!! 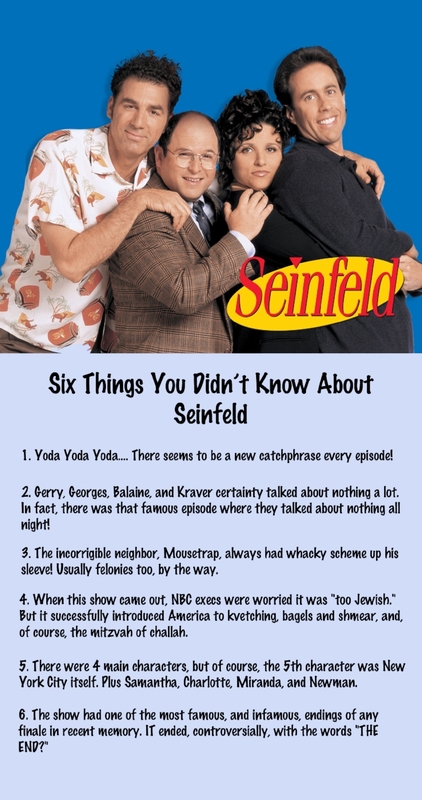 But have you ever noticed how certain things always happen on every episode of some of your favorite shows, like House Hunters, Law & Order, and Seinfeld?